The WWMG Department of Ear, Nose & Throat (Otolaryngology) / Allergy / Audiology provides state-of-the-art medical and surgical care of the ears, nose, and throat, as well as an allergy testing and treatment program, comprehensive hearing evaluations, and a complete hearing aid dispensing program. 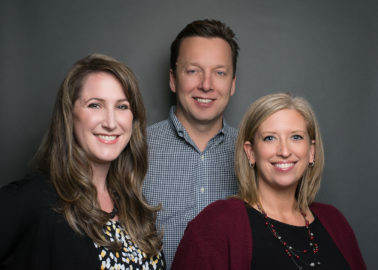 Dr. Mueller and Dr. Drumheller have retired and WWMG ENT, Allergy, & Audiology is pleased to work with their patients by providing the same excellent care they have received in the past. Any questions you might have can be answered at the front desk, and a records request form is located on the right-hand side of this page should you want to transfer your care elsewhere. ENT specialists are trained to manage diseases, tumors, trauma and deformities of the head, neck and face. ENT specialists can perform cosmetic and reconstructive surgery in these areas; they can also manage problems with the nerves in the head and neck that control sight, smelling, hearing and facial movements. In addition, Dr. Ashbach also enjoys helping people look their best, and offers a full spectrum of facial plastic surgical procedures to reverse the effects of aging, such as face lift and brow lift. You can learn more about Facial Plastic & Aesthetic Services on its webpage. Dr. Becky Epperson, DNP, ARNP, our family nurse practitioner, has over 20 years of nursing experience and specializes in Allergy Care. As a Northwest native, she is intimately acquainted with the abundance of allergens that affect many of the people living in this area. Her goal is to maximize the quality of life for every one of her patients struggling with management of their allergies. Learn more about Allergy here. Erin Robinson, MA, FAAA, our highly experienced, licensed audiologist, provides complete hearing testing and hearing-aid dispensing in our Everett location for children and adults. Learn more about Audiology here. Learn more about Hearing Aids here. Our entire staff is eager to assist you with your ear, nose, throat or hearing needs. To schedule an appointment, please contact us.